It took eight seasons but James Johnson has finally cracked Sports Illustrated's top 100 players list. Before each season, SI ranks the top 100 players in the league. 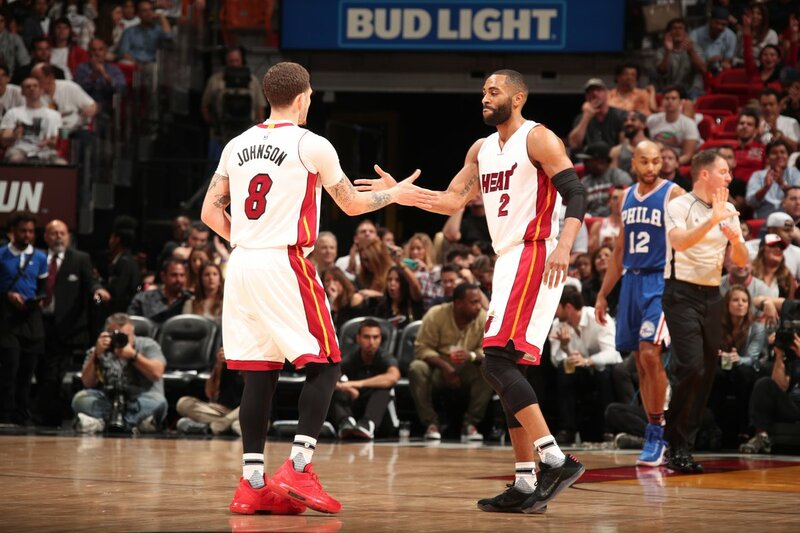 After a career season in Miami, Johnson has finally caught the attention of the NBA world. It wasn’t until his eighth season, his sixth team, and a 37-pound weight loss that Johnson finally found his place in the league. The Heat had the perfect culture to guide him; Miami’s rigorous standards for effort and conditioning demanded more of Johnson than any team ever had before. In turn, Johnson transformed. So many of the captivating flashes in his game became full-blown features. That development would mean a lot to the career of any journeyman, but especially to a marvel like Johnson. Up until this point, Johnson had been a rogue element. Last season established him as an every-night contributor—a big, physical combo forward (12.8 PPG, 4.9 RPG, 3.6 APG) who can fly around the court defensively and do a little bit of everything. The body of work is a touch slim for any ranking higher than this, though Johnson could solidify his standing in time. After signing him to a four- year $60 million deal, the Heat are banking on Johnson to build on his first successful season with them. He's expected to start at the powerforward spot and play as a small ball center in some stretches. If he continues to play at the same level over the next four seasons, there's a chance he can rise even higher in the rankings. SI released rankings 51-100 today. Former Heat star Dwyane Wade was ranked as the 74th best player. The rest of the list--which likely will include Goran Dragic and Hassan Whiteside-- will be announced at a later date.